A flow meter is an instrument used to measure linear, nonlinear, mass or volumetric flow rate of a liquid or a gas. 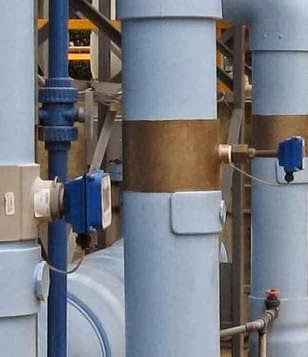 Some flow meters measure flow as the amount of fluid passing through the flowmeter during a time period (such as 100 liters per minute). Other flowmeters measure the totalized amount of fluid that has passed through the flow meter. Selecting a Flow Meter The basis of good flowmeter selection is a clear understanding of the requirements of the particular application. Therefore, time should be invested in fully evaluating the nature of the process fluid and of the overall installation. There are several types of positive displacement flow meters are used include piston, oval-gear, nutating-disk, and rotary-vane type. 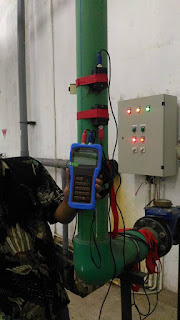 While the Velocity type flow meter consists of a turbine, vortex shedding, electromagnetic, and ultrasonic. Flow meter is used to measure the Coriolis mass flow meters and thermal types. Measurement of liquid flow in open channels generally involves weirs and aqueducts. • What kind of the fluid being measured by the flowmeter or flow meters (fluid, gas, water, air, stem, etc)? • Is the fluid clean? • What is the minimum and maximum flow rate for the flow meter? • What is the minimum and maximum process pressure? • What is the minimum and maximum process temperature? • Do you require rate measurement and/or totalization from the flow meter? • If the liquid is not water, what viscosity is the liquid? • Do you require a local display on the flow meter or do you need an electronic signal output? • Is the fluid chemically compatible with the flowmeter wetted parts? • If this is a process application, what is the size of the pipe?